Check out Bray Wyatt‘s WWE profile here! Windham Rotunda is the son of Mike Rotunda, the grandson of Blackjack Mulligan. and brother of Taylor Rotunda..
Windham Rotunda is a former high school wrestling state champion and junior college All-American football player..
Windham Rotunda also played at Troy University in college football’s highest level, Division I.
February 12, 2009 – FCW: Tank Rotundo and Yoshitatsu defeated Brian Jossie and Jon Cutler. February 13, 2009 – FCW: Kaleb O’Neal, Lawrence Knight and Tyson Tarver defeated Brett DiBiase, Maverick Darsow and Tank Mulligan. February 22, 2009 – FCW: Tank Rotundo defeated Brian Jossie in a dark match. March 5, 2009 – FCW: Brett DiBiase and Tank Rotundo defeated Caylen Croft and Trent Baretta. March 13, 2009 – FCW: Tank Rotundo defeated Dylan Klein. March 15, 2009 – FCW TV: Brett DiBiase, Maverick Darsow and Tank Mulligan defeated Abraham Saddam Washington, Derrick Bateman and Tristan Delta. March 20, 2009 – Florida Championship Wrestling: Wes Brisco defeated Bo Rotundo w/ Windham Rotundo by disqualification. May 7, 2009 – Florida Championship Wrestling: Windham Rotunda and Vic Adams defeated Agent T and Agent D.
May 28, 2009 – Florida Championship Wrestling: Vic Adams and Alex Rotundo (Windham Rotunda) defeated Caylen Croft and Trent Barretta by disqualification. June 19, 2009 – Florida Championship Wrestling: The Rotundo Brothers defeated Byron Saxton and Agent T w/Abraham Washington. June 23, 2009 – Florida Championship Wrestling: The Rotundo Brothers defeated The Dudebusters in a #1 Contenders match. June 23, 2009 – Florida Championship Wrestling: The Rotundo Brothers defeated Justin Angel and Kris Logan to win the Tag Team titles..
June 25, 2009 – Florida Championship Wrestling: Alex Riley w/Beverly defeated Bo Rotundo w/Duke Rotundo. July 2, 2009 – Florida Championship Wrestling: The Rotundo Brothers defeated Mr. Tarver and Dylan Klein. July 9, 2009 – FCW: The Rotundo Brothers defeated FCW Tag Team champions Trent Beretta and Caylen Croft by disqualification. July 16, 2009 – Florida Championship Wrestling: The Rotundo Brothers defeated Mr. Tarver and Ricky Ortiz. July 30, 2009 – Florida Championship Wrestling: The Rotundo Brothers defeated Vance Archer and Dylan Klein in a Non-title match. August 6, 2009 – FCW: Brett DiBiase and Duke Rotundo and Bo Rotundo beat Trent Beretta and Caylen Croft and Dylan Klein. August 13, 2009 – FCW: The Rotundo Brothers defeated Dylan Klein and Vance Archer to retain the FCW Tag Team titles. August 20, 2009 – FCW: Trent Baretta and Caylen Croft and Cristoph Herzog beat Justin Angel and Bo Rotundo and Duke Rotundo..
October 1, 2009 – FCW: Tyson Kidd and Curt Hawkins and Caylen Croft defeated Brett DiBiase and Bo Rotundo and Duke Rotundo. October 8, 2009 – FCW: Tyler Reks and Brett DiBiase and The Rotundos beat Curt Hawkins and Trent Beretta and Caylen Croft and Eric Escobar. October 29, 2009 – Florida Championship Wrestling: Skip Sheffield (dressed as a cow) and Bo Rotundo (dressed as Batman) and Duke Rotundo (dressed as polka dot Dusty Rhodes) defeated Trent Beretta (dressed as Sebastian aka the crab from Little Mermaid) and Caylen Croft (dressed as a pirate) and Curt Hawkins (dressed as a lizard) in a 6-MAN Tag Team Costume match..
November 5, 2009 – Florida Championship Wrestling: Bo Rotundo defeated Big E Langston in a pre-show match. November 12, 2009 – FCW: The Rotundo Brothers defeated Curt Hawkins and Heath Slater to retain the FCW Tag Team titles. November 19, 2009 – FCW: The Dudebusters (Hawkins and Croft) defeated The Rotundo Brothers to win the FCW Tag Team titles. November 19, 2009 – FCW: The Rotundo Brothers (Bo and Duke Rotundo) and Brett DiBiase and Alberto Banderas defeated The Dudebusters (Caylen Croft and Trent Beretta and Curt Hawkins) and Heath Slater. December 17, 2009 – Florida Championship Wrestling: The Rotundo Brothers defeated Vance Archer and Michael Tarver. January 14, 2010 – Florida Championship Wrestling: The Uso Brothers (Jimmy and Joey Uso) defeated The Rotondo Brothers. January 21, 2010 – Florida Championship Wrestling: The Rotundo Brothers cut an in-ring promo about wanting a title shot..
February 18, 2010 – FCW: The Rotundo Brothers and Wes Brisco defeated Jules and Jimmy Uso and Donny Marlow. March 11, 2010 – Florida Championship Wrestling: The Rotundo Brothers defeated The Uso Brothers (Jimmy and Jules w/Sarona Snuka). March 18, 2010 – FCW: Duke Rotundo defeated Jimmy Uso by disqualification when Jules Uso interfered (Bo Rotundo made the save!). April 1, 2010 – FCW: Bo Rotundo w/Duke Rotundo defeated Jackson Andrews w/Curt Hawkins by disqualification when Hawkins interfered. April 8, 2010 – FCW: Leo Kruger and Curt Hawkins and Jackson Andrews defeated The Rotundo Brothers and Eli Cottonwood. April 8, 2010 – Florida Championship Wrestling: Duke Rotundo defeated Leo Kruger in a dark match. April 15, 2010 – Florida Championship Wrestling: Duke Rotundo defeated Leo Kruger. May 5, 2010 – Florida Championship Wrestling: Duke Rotundo defeated Johnny Curtis w/Aksana. May 20, 2010 – Florida Championship Wrestling: Duke Rotundo defeated Tyler Reks. May 27, 2010 – FCW: The Dudebusters (Trent Baretta and Caylen Croft) defeated Titus O’Neill and Duke Rotundo. Windham Rotunda (as Husky Harris) was paired with “Pro” Cody Rhodes for the second season of WWE NXT..
June 1, 2010 – WWE NXT: Cody Rhodes introduced his “NXT rookie” Husky Harris (aka Windham Rotunda, Mike Rotunda’s son)..
June 3, 2010 – Florida Championship Wrestling: NXT Season 1 defeated NXT Season 2 in a 5-on-5 match..
~~~NXT Season 1 = Skip Sheffield and David Otunga and Michael Tarver and Heath Slater..
~~~NXT Season 2 = Eli Cottonwood and Husky Harris and Percy Watson and Lucky Cannon..
June 8, 2010 – WWE NXT: Montel Vontavious Porter and Percy Watson defeated Cody Rhodes and Husky Harris in a tag team match..
~~~Later that Night; The NXT Season 2 “Pros” beat up their “Rookies” so they wouldn’t do what the NXT Season 1 guys did..
June 10, 2010 – Florida Championship Wrestling: Husky Harris defeated Drake Brewer..
June 20, 2010 – FCW: Alex Riley defeated Husky Harris to retain the FCW Heavyweight title. June 22, 2010 – WWE NXT: Cody Rhodes w/Husky Harris defeated Lucky Cannon w/Mark Henry in a 5-Minute Challenge Match..
~~~Later that night, Husky Harris attacked NXT host Matt Striker and gave him a running senton in an attempt to make an impact! June 29, 2010 – WWE NXT: Husky Harris participated in a “Keg Carry” challenge (which was won by Lucky Cannon)..
~~~Montel Vontavious Porter w/Percy Watson defeated Husky Harris w/Cody Rhodes (Husky refused to shake hands)..
July 1, 2010 – FCW: Husky Harris and Eli Cottonwood defeated Percy Watson and Titus O’Neill. July 5, 2010 – RAW: Mark Henry defeated Husky Harris in a dark match..
July 6, 2010 – WWE NXT: Husky Harris participated in the “Talk the Talk” challenge (won by Showtime Percy Watson)..
~~~”Dashing” Cody Rhodes and Husky Harris defeated “Lucky” Cannon and Mark Henry when Rhodes hit Cannon with his finisher..
July 8, 2010 – FCW: Lucky Cannon and Titus O’Neil and Wes Brisco defeated Brodus Clay and Husky Harris and Big E Langston. July 13, 2010 – NXT: Participated in a Battle Royal including NXT Pros and Rookies, joined by The Nexus (who dominated the match)..
July 20, 2010 – NXT: Husky Harris and “Dashing” Cody Rhodes defeated Montel Vontavious Porter and “Showtime” Percy Watson..
July 22, 2010 – FCW: Husky Harris was in the Battle Royal won by Wes Brisco. July 27, 2010 – NXT: Husky Harris w/Cody Rhodes defeated Kaval w/Lay-Cool (Michelle McCool and Layla)..
August 3, 2010 – NXT: Alex Riley participated in a lame kissing contest hosted by LayCool (they had to kiss a disgusting woman)..
August 5, 2010 FCW: Epico and Hunico and Johnny Curtis and Kaval defeated Mason Ryan and Husky Harris and Michael McGillicutty and Alex Riley in an Elimination match (Kaval was the sole survivor). August 6, 2010 – FCW: Leo Kruger defeated Husky Harris. Husky Harris w/Cody Rhodes defeated Kaval w/Michelle McCool and Layla El..
August 9, 2010 – RAW: Husky Harris and Michael McGillicutty and Alex Riley defeated Kaval and Lucky Cannon and Percy Watson..
August 10, 2010 – NXT: Alex Riley won a “Power of the Punch” contest between the remaining six NXT contestants..
~~~Kaval and Showtime Percy Watson and Lucky Cannon defeated Michael McGillicutty and Husky Harris and Alex Riley..
August 12, 2010 – FCW: Husky Harris was in the Battle Royal won by Eli Cottonwood. August 17, 2010 – NXT: Kaval w/Michelle McCool and Layla defeated Husky Harris w/Cody Rhodes with the Warrior’s Way..
~~~LATER: Husky Harris was eliminated from the competition (Cody Rhodes freaked out yelling at everyone and attacked Kaval). August 19, 2010 – FCW: Husky Harris defeated Michael McGillicutty. August 31, 2010 – WWE NXT: Husky Harris sat in the front row with other eliminated rookies for the Finale..
~~~Kaval was announced as the winner of NXT Season 2 – then the seven eliminated rookies jumped in the ring and attacked him! September 2, 2010 – FCW: Los Aviadores (Hunico and Epico) defeated Husky Harris and Percy Watson. September 9, 2010 – FCW: Percy Watson defeated Husky Harris by countout (Husky had enough and walked back to the dressing room). September 15, 2010 – FCW: Percy Watson defeated Husky Harris in an “Unsanctioned Lights Out, Come As You Are, Falls Count Anywhere” Match..
September 23, 2010 – FCW: Husky Harris vs. Percy Watson ended in a Double disqualification after both men ended up fighting in the parking lot..
September 23, 2010 – FCW: Percy Watson defeated Husky Harris in a Non-Sanctioned Come As You Are Bunkhouse Brawl. October 3, 2010 – Hell in a Cell PPV: Wade Barrett defeated John Cena in a “Cena joins Nexus vs. Nexus must disband” match..
~~~John Cena had the match won when two “fans” (Michael McGullicutty and Husky Harris) interfered and help Wade Barrett win! October 4, 2010 – RAW: Wade Barrett identified Husky Harris and Michael McGillicutty as the two mystery assailants from the PPV..
October 11, 2010 – RAW: Mike Mizanin defeated John Cena after outside interference from Husky Harris and Michael McGillicutty..
October 18, 2010 – RAW: John Cena and WWE champion Randy Orton defeated Michael McGillicutty and Husky Harris..
October 25, 2010 – RAW: Michael McGullicutty and Husky Harris were officially made members of The Nexus by Wade Barrett..
October 28, 2010 – FCW: Bo Rotundo (as Jake ‘The Snake’ Roberts) and Abraham Washington (as Michael Jackson) and Johnny Curtis (as Popeye) and Derrick Bateman (as Rocky Balboa) b Brodus Clay (as a Butterfly) and Husky Harris (as a Viking) and Trent Baretta (as Grandma Baretta) and Caylen Croft (as Space Olympics Ambassador Croft) in a No-disqualification Anything Goes 8 Man Costume Tag Team Match. November 5, 2010 – SmackDown: Edge vs. Alberto Del Rio ended in a No Contest when the Nexus showed up and took over the show..
~~~MAIN EVENT: Team SmackDown defeated The Nexus in a 10-Man Tag Team Match – (Edge speared and pinned Otunga to win!).. ~~~Team SmackDown = Edge and Kane and Alberto Del Rio and Kofi Kingston and The Big Show defeated The Nexus..
~~~ The Nexus = David Otunga and Heath Slater and Justin Gabriel and Michael McGillicutty and Husky Harris..
November 8, 2010 – RAW: John Cena defeated David Otunga (Wade Barrett and Nexus went backstage so Otunga could prove himself). ~~~The Nexus defeated Team Orton in a Ten Man Tag Team Match with special guest referee John Cena..
~~~The Nexus = Wade Barrett and Justin Gabriel and Heath Slater and Michael McGillicutty and Husky Harris..
~~~Team Orton = Randy Orton and R-Truth and Mark Henry and Daniel Bryan and Mike Mizanin w/Alex Riley..
November 12, 2010 – SmackDown: David Otunga defeated Edge with the Nexus and the SmackDown Roster acting as Lumberjacks..
November 21, 2010 – Survivor Series: Heath Slater and Justin Gabriel w/Nexus beat Santino Marella and Vladimir Kozlov to retain their titles..
~~~Randy Orton defeated Wade Barrett with special guest referee John Cena to retain the WWE Championship (The Nexus was banned)..
~~~The stipulation was that if Barrett won the title, John Cena would be free, but if Barrett lost, then Cena would be FIRED FROM WWE! ~~~CONCLUSION: This meant that John Cena was fired from the WWE (in storyline) – so they did a pretend farewell to say good-bye..
November 22, 2010 – RAW: John Cena gave a farewell speech but came back to screw Wade Barrett out of his rematch with Randy Orton..
November 29, 2010 – King of the Ring: John Cena showed up and took out Nexus members Michael McGillicutty and Heath Slater..
~~~Wade Barrett went to the ring and called out John Cena, who only appeared on the big screen standing outside in the parking lot..
~~~The remaining members of Nexus showed up intending to attack John Cena, but he was protected by members of the WWE roster! December 2, 2010 – FCW: Matt Clements (Lance Storm’s student Mattias Wild) and Kenny Li and Chimaera (Alberto Del Rio’s personal ring announcer Ricardo Rodriguez under a mask) and Buck Dixon and Husky Harris (w/Michael McGillicutty) b Big E Langston and James Bronson and Kevin Hackman and Roman Leakee and Darren Young. December 6, 2010 – RAW: Wade Barrett called out John Cena and told him his tricks won’t work because he will NEVER rehire him in WWE..
~~~John Cena said he was happy hanging out with the fans every week and thinking of new ways to make the lives of the Nexus miserable! ~~~Nexus walked out on Barrett, allowing Cena to attack him! Nexus said Barrett would be kicked out of the group if he didn’t rehire Cena..
December 13, 2010 – The Slammy Awards: Nexus leader Wade Barrett accepted the award for “Shocker of the Year” for invading RAW..
~~~Wade Barrett officially rehired John Cena…. The Nexus quickly attacked Cena while Barrett grabbed a chair and used it to bash Cena! ~~~John Cena defeated Nexus member David “A-List” Otunga – (Nexus walked out allowing Cena to absolutely destroy Otunga!). December 17, 2010 – FCW: Bo Rotundo and Darren Young defeated Husky Harris and Michael McGillicutty. December 27, 2010 – RAW: C.M. Punk began the night promising John Cena that there would be a huge surprise in store for him tonight! ~~~LATER: John Cena was assaulted by Nexus (David Otunga and Heath Slater and Justin Grabriel and Husky Harris and Michael McGillicutty)..
~~~C.M. Punk came out and sat down next to an unconcious Cena, before putting a Nexus armband on, signifying he was their new leader! January 3, 2011 – RAW: Wade Barrett returned to confront the new Nexus leader (C.M. Punk), claiming he was still the leader of the group..
~~~C.M. Punk said if Wade Barrett won the triple threat steel cage match tonight he could be the leader and Punk would work for him..
~~~Barrett lost when Punk showed up to “help,” but instead ripped the Nexus armband off Barrett’s arm and kicked him down to the mat! January 10, 2011 – RAW: Vladimir Kozlov and Santino Marella w/Tamina were attacked in the ring by C.M. Punk and the New Nexus..
~~~Nexus leader C.M. Punk announced that each member would make a sacrifice tonight and be officially initiated into the New Nexus..
~~~Michael McGillicutty, Husky Harris, and David Otunga all went through their initiations. . . but Slater and Gabriel refused and quit Nexus! January 17, 2011 – RAW: C.M. Punk defeated John Cena by disqualification when an unidentified assailant jumped in and kicked Punk in the face! ~~~The monster then took out John Cena with a Rock Bottom…. The Nexus ran down to protect their leader, but Punk called them off..
~~~The new guy dropped to his knee and raised his arm in the air, allowing Punk to place a Nexus arm-band so he could join the group..
January 24, 2011 – RAW: The Nexus got into a confrontation with The Corre and set up a main event between C.M. Punk and Wade Barrett..
~~~Michael McGillicutty and Husky Harris defeated WWE Tag Team champion Vladimir Kozlov and Santino Marella in a Non-title match..
~~~C.M. Punk (w/The Nexus) vs. Wade Barrett (w/The Corre) ended in a Double disqualification after special referee John Cena “abused his power”..
January 30, 2011 – Royal Rumble: Husky Harris entered the Royal Rumble at #9 but was later eliminated by The Great Khali..
~~~Husky Harris (#9), Michael McGillicutty (#13), David Otunga (#15), Mason Ryan (#20) all entered and proceeded to help C.M. Punk. ~~~Together, the Nexus dominated for several minutes eliminating 10+ people until John Cena entered and eliminated the entire Nexus! January 31, 2011 – RAW: Vladimir Kozlov and Santino Marella defeated Michael McGillicutty and Husky Harris to retain the Tag Team titles..
~~~After the match; Randy Orton punted Husky Harris in the head despite warnings from C.M. Punk that he would pay the consequences..
April 10, 2011 – FCW: Husky Harris defeats Monty Lynch. May 29, 2011 – FCW: Husky Harris defeats Johnny Curtis. July 10, 2011 – FCW: Husky Harris defeats Lucky Cannon. July 24, 2011 – FCW: Husky Harris defeats Monty Lynch. July 31, 2011 – FCW: Lucky Cannon defeats Husky Harris. August 14, 2011 – FCW: Bo Rotundo and Husky Harris defeated Damien Sandow and Lucky Cannon. September 4, 2011 – FCW: Conor O’Brian (w/ Raquel Diaz and Ricardo Rodriguez) defeats Husky Harris. September 25, 2011 – FCW: Husky Harris defeats Big E. Langston in the 1st round of the Super Eight Tournament. October 9, 2011 – FCW: Leo Kruger defeats Damien Sandow and Dean Ambrose and Husky Harris in a 4-way Final of the Super 8 Tourmanent. October 16, 2011 – FCW: Husky Harris defeats Damien Sandow and Dean Ambrose in a 3-way #1 contenders match. October 23, 2011 – FCW: FCW Heavyweight Champion Leo Kruger defeated Husky Harris to retain. October 30, 2011 – FCW: Husky Harris vs. Richie Steamboat ended in a No Contest. November 13, 2011 – FCW: FCW Heavyweight Champion Leo Kruger defeated Husky Harris and Richie Steamboat in a 3-way to retain the title. November 20, 2011 – FCW: Husky Harris defeats Richie Steamboat in a falls count anywhere match. November 27, 2011 – FCW: Abraham Washington defeats Derrick Bateman and Husky Harris and Richie Steamboat in a 4-way #1 contenders match. January 8, 2012 – FCW: Husky Harris defeats Richie Steamboat in a Texas Bullrope Match. February 12, 2012 – FCW: Husky Harris defeats Colin Cassady. February 19, 2012 – FCW: Bo Rotundo and Husky Harris defeated Brad Maddox and Eli Cottonwood to win the Vacant FCW Tag Team Titles. April 1, 2012 – FCW: Corey Graves and Jake Carter (w/ Abraham Washington) defeated Bo Rotundo and Husky Harris to win the FCW Tag Team Titles. April 22, 2012 – FCW: Bray Wyatt (w/ Eli Cottonwood) defeats Aiden English. May 13, 2012- FCW: Bray Wyatt (w/ Eli Cottonwood) defeats Benicio Salazar. June 3, 2012 – FCW: Bray Wyatt defeats Jiro. June 7, 2012 – FCW: Bray Wyatt defeated Aiden English. June 28, 2012 – Superstars: Bray Wyatt defeated Alex Riley in a dark match. July 8, 2012 – FCW: Bray Wyatt defeats Benicio Salazar. July 11, 2012 – NXT: Bray Wyatt defeated Aiden English. March 8, 2013 – Raw Live Tour: Bray Wyatt defeated JTG. March 22, 2013 – SmackDown: Justin Gabriel defeated Bray Wyatt in a dark match. March 29, 2013 – SmackDown: Ted DiBiase defeated Bray Wyatt in a dark match. April 3, 2013 – NXT: Bo Dallas and Adrian Neville defeated Luke Harper and Erick Rowan w/ Bray Wyatt. April 25, 2013 – NXT: Bray Wyatt defeated Yoshi Tatsu. May 4, 2013 – WWE Live Event: Bray Wyatt defeated Alex Riley. June 20, 2013 – NXT: Bray Wyatt, Luke Harper, and Erick Rowan defeated Adrian Neville, Kassius Ohno, and Corey Graves. August 19, 2013 – RAW: Bray Wyatt defeated R-Truth. September 9, 2013 – RAW: Bray Wyatt defeated Dolph Ziggler. September 27, 2013 – SmackDown: Bray Wyatt defeated Zack Ryder. October 6, 2013 – Battleground: Bray Wyatt defeated Kofi Kingston. October 11, 2013 – SmackDown: Bray Wyatt defeated Alberto Del Rio by count-out in a dark match. October 18, 2013 – SmackDown: Erick Rowan and Luke Harper w/ Bray Wyatt defeated The Miz and Kofi Kingston. October 21, 2013 – RAW: Erick Rowan and Luke Harper w/ Bray Wyatt defeated Kofi Kingston and The Miz. October 25, 2013 – SmackDown: The Uso’s defeated Erick Rowan and Luke Harper w/ Bray Wyatt. November 1, 2013 – SmackDown: Erick Rowan and Luke Harper w/ Bray Wyatt defeated The Prime Time Players. January 26, 2014 – Royal Rumble: Bray Wyatt defeated Daniel Bryan. February 8-9, 2014 – Live Event: Bray Wyatt defeated Daniel Bryan in a steel cage. February 15-16, 2014 – Live Event: Bray Wyatt defeated Dolph Ziggler. March 14, 2014 – SmackDown: Bray Wyatt defeated Kofi Kingston. March 17, 2014 – RAW: Bray Wyatt defeated Kofi Kingston. April 29, 2014 – Main Event: Bray Wyatt w/ Erick Rowan & Luke Harper defeated Sheamus. May 2-3, 2014 – Live Event: The Shield and John Cena defeated The Wyatt Family and Alberto Del Rio. May 30, 2014 – SmackDown: Bray Wyatt defeated Jimmy Uso in a “Last Man Standing” match. June 1, 2014 – Payback: John Cena defeated Bray Wyatt in a “Last Man Standing” match. June 17, 2014 – Main Event: The Wyatt Family defeated The Usos and Sheamus. June 20-22, 2014 – Live Event: John Cena defeated Bray Wyatt. June 27, 2014 – SmackDown: WWE United States champion Sheamus defeated Bray Wyatt by disqualification in a non-title match. June 30, 2014 – RAW: The Wyatt Family defeated WWE United States champion Sheamus and WWE tag team champions the Usos in a 6-man tag team match. October 3, 2014 – Live Event: The Big Show and The Usos defeated The Wyatt Family. October 4-5, 2014 – Live Event: United States champion Sheamus defeated Bray Wyatt to retain the title. October 26, 2014 – Hell in a Cell: Seth Rollins defeated Dean Ambrose in a “Hell in a Cell” match due to interference from Bray Wyatt. November 4, 2014 – Main Event: Bray Wyatt defeated Sin Cara. November 6-9, 2014 – Live Event: Dean Ambrose defeated Bray Wyatt and Kane in a handicap match. November 12-15, 2014 – Live Event: Chris Jericho defeated Bray Wyatt. November 14, 2014 – SmackDown: Bray Wyatt defeated Sin Cara. November 18, 2014 – Main Event: Bray Wyatt defeated Jack Swagger. November 23, 2014 – Survivor Series: Bray Wyatt defeated Dean Ambrose by disqualification. December 1, 2014 – RAW: Bray Wyatt defeated R-Truth. December 14, 2014 – TLC…and Stairs: Bray Wyatt defeated Dean Ambrose in a TLC match. December 17, 2014 – Tribute to the Troops: Dean Ambrose defeated Bray Wyatt in a ‘no disqualification’ match. December 22, 2014 – RAW: Bray Wyatt defeated Dean Ambrose in a “Miracle on 34th Street Fight”. December 26-27, 2014 – Live Event: Dean Ambrose defeated Bray Wyatt. 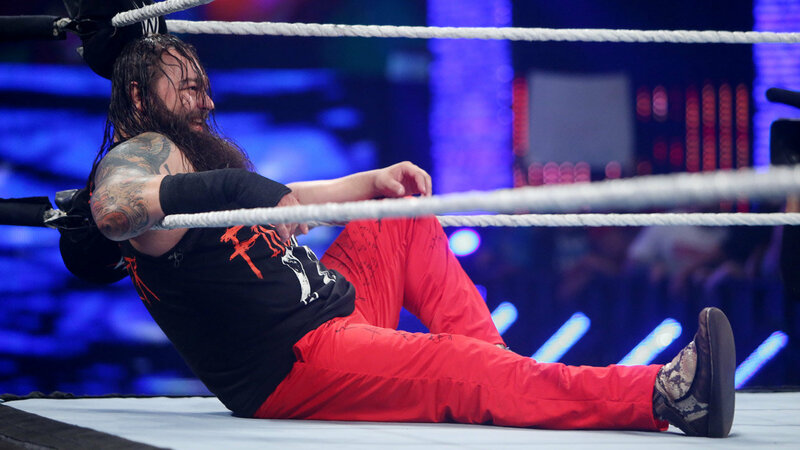 January 2, 2015 – SmackDown: Bray Wyatt defeated Erick Rowan. January 5, 2015 – RAW: Bray Wyatt defeated Dean Ambrose in an Ambulance Match. January 9-11, 2015 – Live Event: Dean Ambrose defeated Bray Wyatt. January 16-18, 2015 – Live Event: Dean Ambrose defeated Bray Wyatt. January 19, 2015 – RAW: Bray Wyatt defeated Daniel Bryan. January 20, 2015 – Main Event: Bray Wyatt defeated Jack Swagger. January 30-31, 2015 – Live Event: Daniel Bryan defeated Bray Wyatt. February 2, 2015 – RAW: Bray Wyatt defeated Dolph Ziggler. February 6-8, 2015 – Live Event: Dean Ambrose defeated Bray Wyatt. February 9, 2015 – RAW: Bray Wyatt defeated Dolph Ziggler. February 12, 2015 – SmackDown: Bray Wyatt defeated R-Truth. February 14-15, 2015 – Live Event: Randy Orton and Daniel Bryan defeated Bray Wyatt and Kane. February 16, 2015 – RAW: John Cena defeated Bray Wyatt in a dark match. February 27-28, 2015 – Live Event: Randy Orton defeated Bray Wyatt. March 7-8, 2015 – Live Event: Randy Orton defeated Bray Wyatt. March 9, 2015 – RAW: John Cena defeated Bray Wyatt in a dark match. March 10, 2015 – Main Event: Bray Wyatt defeated Zack Ryder in a dark match. March 14-15, 2015 – Live Event: John Cena and Randy Orton defeated Bray Wyatt and Seth Rollins. March 29, 2015 – WrestleMania 31: The Undertaker defeated Bray Wyatt. April 9, 2015 – SmackDown: Bray Wyatt defeated Erick Rowan. April 9-12, 2015 – Live Event: Daniel Bryan, Dolph Ziggler and Erick Rowan defeated Bad News Barrett, Bray Wyatt and Sheamus. April 15-16, 2015 – Live Event: Bray Wyatt defeated Erick Rowan. April 16, 2015 – SmackDown: Bray Wyatt defeated R-Truth. April 18, 2015 – Live Event: Bray Wyatt defeated Jimmy Uso. May 9-10, 2015 – Live Event: Ryback defeated Bray Wyatt. May 17, 2015 – Payback: Bray Wyatt defeated Ryback. May 18, 2015 – RAW: Bray Wyatt defeated Dean Ambrose. May 21, 2015 – SmackDown: Dean Ambrose defeated Bray Wyatt. May 23-24, 2015 – Live Event: Ryback defeated Bray Wyatt. May 25, 2015 – RAW: Randy Orton defeated Bray Wyatt in a dark match. May 30, 2015 – Live Event: Ryback defeated Bray Wyatt. June 5-7, 2015 – Live Event: Ryback defeated Bray Wyatt to retain the Intercontinental title. June 8, 2015 – RAW: John Cena defeated Bray Wyatt in a dark match. June 12-13, 2015 – Live Event: Ryback defeated Bray Wyatt to retain the Intercontinental title. June 20-21, 2015 – Live Event: Ryback defeated Bray Wyatt. July 2, 2015 – SmackDown: Bray Wyatt defeated Dean Ambrose. July 25-26, 2015 – Live Event: Bray Wyatt defeated Mark Henry. September 18, 2015 – Live Event: Dean Ambrose and Roman Reigns defeated Luke Harper and Bray Wyatt. September 26-27, 2015 – Live Event: Dean Ambrose and Roman Reigns defeated Braun Strowman and Bray Wyatt. October 10-11, 2015 – Live Event: Randy Orton and Roman Reigns defeated Braun Strowman and Bray Wyatt. November 5-8, 11-14, 2015 – Live Event: Roman Reigns defeated Bray Wyatt. November 28-29, 2015 – Live Event: Kane & The Usos (Jey Uso & Jimmy Uso) defeated The Wyatt Family (Braun Strowman, Bray Wyatt & Luke Harper). December 5-6, 2015 – Live Event: Kane defeated Bray Wyatt. January 3, 2016 – Live Event: Kane defeated Bray Wyatt. January 9-10, 2016 – Live Event: Kane defeated Bray Wyatt. January 15, 2016 – Live Event: Kane defeated Bray Wyatt. January 16, 2016 – Live Event: Ryback defeated Bray Wyatt. January 30-31, 2016 – Live Event: Kane defeated Bray Wyatt by DQ. February 5-6, 2016 – Live Event: WWE Intercontinental champion Dean Ambrose defeated Bray Wyatt to retain the title. February 26-28, 2016 – Live Event: Kane defeated Bray Wyatt. March 4-6, 2016 – Live Event: Kane defeated Bray Wyatt in a street fight. March 18, 2016 – Live Event: Kane and The Usos defeated The Wyatt Family (Braun Strowman, Bray Wyatt and Erick Rowan). March 19-20, 2016 – Live Event: Kane and The Big Show defeated Bray Wyatt and Braun Strowman. March 25-27, 2016 – Live Event: Kane and The Big Show defeated Bray Wyatt and Erick Rowan. April 3, 2016 – WrestleMania 32: The Rock defeated Erick Rowan w The Wyatt Family. The Wyatt Family attacked The Rock. John Cena returned to help out The Rock. April 11, 2016 – RAW: Bray Wyatt and Roman Reigns defeated Sheamus and Alberto Del Rio in the main event. April 13, 2016 – Live Event: WWE champion Roman Reigns vs. Bray Wyatt ended in a no contest. Bray Wyatt injured his right calf in this match. July 9-10, 2016 – Live Event: The Big Show defeated Bray Wyatt. July 19, 2016 – Smackdown Live: Bray Wyatt w The Wyatt Family defeated Xavier Woods w The New Day. Bray Wyatt gets drafted by Shane McMahon & Daniel Bryan to join Smackdown Live at #12. July 24, 2016 – WWE Battleground: The Wyatt Family (Braun Strowman, Bray Wyatt and Erick Rowan) defeated The New Day (Big E, Kofi Kingston and Xavier Woods). July 26, 2016 – Smackdown Live: Dolph Ziggler defeated AJ Styles, Apollo Crews, Baron Corbin, Bray Wyatt and John Cena in a 6-way match to become #1 contender for the WWE world heavyweight title. August 2, 2016 – Smackdown Live: Dolph Ziggler defeated Bray Wyatt to become #1 contender for the WWE title. August 6-7, 2016 – Live Event: Randy Orton defeated Bray Wyatt. August 9, 2016 – Smackdown Live: Dean Ambrose and Dolph Ziggler defeated The Wyatt Family (Bray Wyatt and Erick Rowan). August 13-14, 2016 – Live Event: Randy Orton defeated Bray Wyatt. August 16, 2016 – Smackdown Live: WWE champion Dean Ambrose defeated Erick Rowan w Bray Wyatt in a non-title match. After the match Bray Wyatt took the mask of Erick Rowan and throw it down. August 26-28, 2016 – Live Event: Dean Ambrose defeated AJ Styles and Bray Wyatt in a 3-way match to retain the WWE World title. August 29, 2016 – Live Event: Dean Ambrose defeated Dolph Ziggler and Bray Wyatt in a 3-way match to retain the WWE World title. September 10, 2016 – Live Event: Kane defeated Bray Wyatt. September 11, 2016 – Backlash: Kane defeated Bray Wyatt in a no disqualification match. September 12, 2016 – Live Event: John Cena and Randy Orton defeated The Wyatt Family (Bray Wyatt and Erick Rowan). September 17-19, 2016 – Live Event: Randy Orton defeated Bray Wyatt. September 24, 2016 – Live Event: Kane defeated Bray Wyatt. October 1-3, 2016 – Live Event: Randy Orton defeated Bray Wyatt. October 4, 2016 – SmackDown Live: Kane defeated Bray Wyatt by count-out. October 8, 10, 2016 – Live Event: Randy Orton defeated Bray Wyatt. October 9, 2016 – No Mercy: Bray Wyatt defeated Randy Orton. October 15-17, 2016 – Live Event: Randy Orton defeated Bray Wyatt. October 22-24, 2016 – Live Event: Kane defeated Bray Wyatt. November 21, 26-28, 2016 – Live Event: Kane defeated Bray Wyatt. December 10-12, 2016 – Live Event: Dean Ambrose defeated Bray Wyatt. January 14-16, 2017 – Live Event: The Wyatt Family (Bray Wyatt, Luke Harper and Randy Orton) defeated Apollo Crews, Jack Swagger and Mojo Rawley. January 17, 2017 – SmackDown Live: WWE Intercontinental champion Dean Ambrose defeated Randy Orton w the Wyatt Family in a non-title match. January 24, 2017 – SmackDown Live: Randy Orton defeated Luke Harper. Bray Wyatt watch the match sitting in his chair. January 29, 2017 – Royal Rumble: Bray Wyatt was in the Royal Rumble match won by Randy Orton. January 31, 2017 – SmackDown Live: The Wyatt Family (Bray Wyatt and Randy Orton) defeated John Cena and Luke Harper. February 5, 11, 2017 – Live Event: Bray Wyatt defeated Luke Harper. February 12, 2017 – Elimination Chamber: Bray Wyatt defeated AJ Styles, Baron Corbin, Dean Ambrose, John Cena and The Miz in a Elimination Chamber match to win the WWE title. February 13, 2017 – Live Event: John Cena and Luke Harper defeated Bray Wyatt and Randy Orton. February 27, 2017 – Live Event: Bray Wyatt defeated Baron Corbin and John Cena in a 3-way match to retain the WWE title. March 5, 2017 – Live Event: Bray Wyatt defeated AJ Styles to retain the WWE title. March 11, 18-20, 2017 – Live Event: Bray Wyatt defeated Luke Harper to retain the WWE title. March 12, 2017 – Live Event: Bray Wyatt defeated John Cena to retain the WWE title. March 25-27, 2017 – Live Event: Bray Wyatt defeated Luke Harper to retain the WWE title. March 28, 2017 – SmackDown Live: WWE champion Bray Wyatt defeated Luke Harper in a non-title match. April 2, 2017 – WrestleMania 33: Randy Orton defeated Bray Wyatt to win the WWE title. April 4, 2017 – SmackDown Live: Randy Orton and Luke Harper defeated Erick Rowan and Bray Wyatt. April 30, 2017 – Payback: Bray Wyatt defeated WWE champion Randy Orton in a non-title, House of Horrors match. May 1, 2017 – RAW: Bray Wyatt was revealed as the new RAW roster member, as he interrupted Finn Balor after his match. May 8, 2017 – RAW: Bray Wyatt defeated WWE Intercontinental champion Dean Ambrose in a non-title match. May 15, 2017 – RAW: Seth Rollins defeated Bray Wyatt by disqualification. June 9-10, 16-18, 2017 – Live Event: Roman Reigns defeated Bray Wyatt. June 26, 2017 – RAW: Seth Rollins defeated Bray Wyatt in a dark match. July 3, 2017 – RAW: Seth Rollins defeated Bray Wyatt in a dark match. July 7-8, 2017 – Live Event: Roman Reigns defeated Bray Wyatt. July 9, 2017 – Great Balls Of Fire: Bray Wyatt defeated Seth Rollins. July 10, 2017 – RAW: Bray Wyatt defeated Seth Rollins. July 14, 2017 – Live Event: Seth Rollins defeated Bray Wyatt. July 15-16, 2017 – Live Event: John Cena defeated Bray Wyatt. July 21-23, 2017 – Live Event: Bray Wyatt defeated Apollo Crews. July 29-30, 2017 – Live Event: Bray Wyatt defeated Apollo Crews. August 4-6, 2017 – Live Event: Finn Balor defeated Bray Wyatt by disqualification. August 14, 2017 – RAW: Bray Wyatt defeated Finn Balor. August 28, 2017 – RAW: Bray Wyatt cost Finn Balor his chance off winning the battle royal. September 11, 2017 – RAW: Bray Wyatt defeated Goldust. September 18, 2017 – RAW: Bray Wyatt defeated Dustin Rhodes. September 24, 2017 – No Mercy: Finn Balor defeated Bray Wyatt. October 2, 2017 – RAW: Finn Balor defeated Bray Wyatt in a dark match. November 1-5, 2017 – Live Event: The Shield (Dean Ambrose & Seth Rollins) and Triple H defeated Bray Wyatt, Cesaro and Sheamus. November 7-11, 2017 – Live Event: Finn Balor defeated Bray Wyatt. November 13, 2017 – RAW: Jason Jordan defeated Bray Wyatt. November 27, 2017 – RAW: Bray Wyatt defeated Matt Hardy. December 3, 2017 – Live Event: Bray Wyatt defeated Matt Hardy. December 4, 2017 – RAW: Matt Hardy debuted his WOKEN gimmick and replying to Bray Wyatt back and forth. December 11, 2017 – RAW: Matt Hardy and Bray Wyatt had their 2nd promo going back and forth trying to out do each other. December 15-17, 2017 – Live Event: Finn Balor defeated Matt Hardy. December 25, 2017 – RAW: Bray Wyatt came to the ring to have a wrestling match, but Matt Hardy attacked him just as he entered the ring. December 26-28, 2017 – Live Event: Matt Hardy defeated Bray Wyatt. January 1, 2018 – RAW: Bray Wyatt defeated Apollo Crews w Titus O’Neil and Dana Brooke. January 12-14, 2018 – Live Event: Matt Hardy defeated Bray Wyatt. January 20-21, 2018 – 205 Live, Live Event: Matt Hardy defeated Bray Wyatt. January 22, 2018 – RAW 25th Anniversary Show: Bray Wyatt defeated Matt Hardy. January 27, 2018 – Live Event: Matt Hardy defeated Bray Wyatt. January 28, 2018 – Royal Rumble: Bray Wyatt entered the Royal Rumble at # 8 but him and Matt Hardy eliminated themselves together from the match. February 2, 9, 2018 – Live Event: Matt Hardy defeated Bray Wyatt. February 5, 2018 – RAW: Roman Reigns defeated Bray Wyatt to qualify for the Elimination Chamber match. February 12, 2018 – RAW: Finn Balor and Seth Rollins defeated Apollo Crews, Bray Wyatt and Matt Hardy in a 5-way match to qualify for the Elimination Chamber match. February 16-18, 2018 – Live Event: Matt Hardy defeated Bray Wyatt. February 19, 2018 – RAW: Matt Hardy defeated Bray Wyatt in a dark match. February 25, 2018 – Elimination Chamber: Matt Hardy defeated Bray Wyatt. February 27, 2018 – RAW: Bray Wyatt vs. Heath Slater w Rhino never got started as Wyatt attacked both before the they rang the bell. March 2-4, 2018 – Live Event: Matt Hardy defeated Bray Wyatt. March 5, 2018 – RAW: Bray Wyatt defeated Rhyno w Heath Slater. March 16, 18, 2018 – Live Event: Bray Wyatt defeated Matt Hardy. March 17, 2018 – Live Event: Matt Hardy defeated Bray Wyatt. March 19, 2018 – RAW: Matt Hardy defeated Bray Wyatt in a Ultimate Deletion match. April 8, 2018 – WrestleMania 34: Bray Wyatt returned and helped Matt Hardy win the Andre The Giant Memorial battle royal. April 9, 2018 – RAW: Bray Wyatt and Matt Hardy defeated Titus Worldwide (Apollo and Titus O’Neil) in the tag team eliminator. April 23, 2018 – RAW: Bray Wyatt and Matt Hardy defeated The Ascension (Konnor and Viktor). April 27, 2018 – Greatest Royal Rumble: The Deleter Of Worlds (Bray Wyatt and Matt Hardy) defeated The Bar (Cesaro and Sheamus) to win the tag team eliminator and the vacant RAW tag team titles. May 7, 2018 – RAW: WWE RAW tag team champions The Deleters Of Worlds (Bray Wyatt and Matt Hardy) defeated Bo Dallas and Curtis Axel in a non-title match. May 9-10, 2018 – Live Event: The Deleters Of Worlds (Bray Wyatt and Matt Hardy) defeated The Revival (Dash Wilder and Scott Dawson) to retain the RAW tag team titles. May 11-13, 2018 – Live Event: The Deleters Of Worlds (Bray Wyatt and Matt Hardy) defeated Dolph Ziggler and Drew McIntyre & The Revival (Dash Wilder and Scott Dawson) in a 3-way tag team match to retain the RAW tag team titles. May 15-18, 2018 – Live Event: The Deleters Of Worlds (Bray Wyatt and Matt Hardy) defeated Heath Slater and Rhyno & The B-Team (Bo Dallas and Curtis Axel) in a 3-way tag team match to retain the RAW tag team titles. May 28, 2018 – RAW: WWE RAW tag team champions The Deleters Of Worlds (Bray Wyatt and Matt Hardy) defeated The Ascension (Konnor and Viktor) in a non-title match. June 1-3, 2018 – Live Event: The Deleters Of Worlds (Bray Wyatt and Matt Hardy) defeated The B-Team (Bo Dallas and Curtis Axel) by disqualification to retain the tag titles. June 8, 10, 2018 – Live Event: Bray Wyatt defeated Bo Dallas. June 18, 2018 – RAW: WWE RAW tag team champions The Deleters Of Worlds (Bray Wyatt and Matt Hardy) defeated Heath Slater and Rhyno in a non-title match. June 25, 2018 – RAW: Curtis Axel w Bo Dallas defeated Matt Hardy w Bray Wyatt. July 6-8, 2018 – Live Event: The Deleters Of Worlds (Bray Wyatt and Matt Hardy) defeated The B-Team (Bo Dallas and Curtis Axel) & Titus Worldwide (Apollo Crews & Titus O’Neil) in a 3-way tag team match to retain the tag titles. July 9, 2018 – RAW: Bo Dallas w Curtis Axel defeated Matt Hardy w Bray Wyatt. July 13, 2018 – Live Event: The Deleters Of Worlds (Bray Wyatt and Matt Hardy) defeated The B-Team (Bo Dallas and Curtis Axel) to retain the RAW tag team titles. July 15, 2018 – Extreme Rules: The B-Team (Bo Dallas and Curtis Axel) defeated The Deleters Of Worlds (Bray Wyatt and Matt Hardy) to win the RAW tag team titles. July 16, 2018 – RAW: Matt Hardy & Bray Wyatt told The B-Team they will have their rematch next week. July 23, 2018 – RAW: The B-Team (Bo Dallas and Curtis Axel) defeated The Deleters Of Worlds (Bray Wyatt and Matt Hardy) to retain the tag titles. July 28-29, 2018 – Live Event: Bray Wyatt defeated Kevin Owens. August 3-5, 2018 – Live Event: The B-Team (Bo Dallas and Curtis Axel) defeated Baron Corbin and Jinder Mahal & The Deleters Of Worlds (Bray Wyatt and Matt Hardy) in a 3-way tag team match to retain the tag titles. August 13, 2018 – RAW: The B-Team (Bo Dallas and Curtis Axel) defeated The Deleters Of Worlds (Bray Wyatt and Matt Hardy) & The Revival (Dash Wilder and Scott Dawson) in a 3-way tag team match to retain the tag titles. August 29, 31, 2018 – Live Event: Bray Wyatt defeated Jinder Mahal. September 7-9, 2018 – Live Event: Dolph Ziggler and Drew McIntyre defeated The B-Team (Bo Dallas and Curtis Axel) & The Deleters Of Worlds (Bray Wyatt and Matt Hardy) in a 3-way tag team match to retain the tag titles. September 14, 2018 – Live Event: Dolph Ziggler and Drew McIntyre defeated The Deleters Of Worlds (Bray Wyatt and Matt Hardy) to retain the RAW tag team titles. I didn’t even think about this potential feud until recently but now I really want to see @WWEAleister and @WWEBrayWyatt hook it up. Those are just two characters I’d love to see interact. 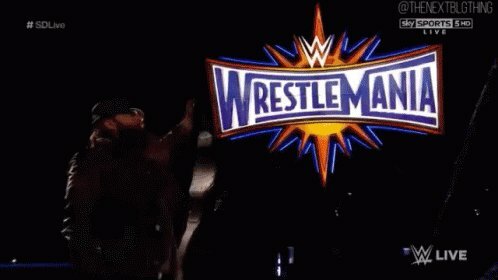 @LarsSWWE welcome finally to WWE. But you know, @WWEBrayWyatt is coming soon. You think you can intimidate the "Eater of Worlds"? And what giant from any era would you like to dominate? @WWEPC @SiNNbODHi @TheRealXPac @MikeMondo83 @Micahtaylor01 Now let's see @SiNNbODHi on TV against @WWEBrayWyatt !! 🚨Where would you like to see @WWEBrayWyatt🕯 appear?